Searching for RAM vans or trucks for sale near Stamford? Garavel CJDR is here to help. As a RAM truck dealer, we offer a range of RAM 1500 configurations as well as RAM ProMaster vans. Whether you're looking for strong towing capability or high tech features, RAM delivers. Explore our inventory below! 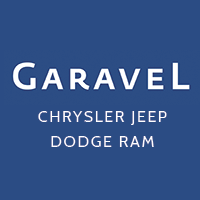 Why Buy a RAM Truck or Van at Garavel CJDR? All-New RAM 1500 - This recently redesigned truck features a large touchscreen display, and Edmunds says it offers, "plenty of towing capability supported by new technology aids." RAM 2500 - For more V8 heavy-duty power, consider the RAM 2500. A strong suspension evens out bumps in the road near Greenwich. RAM ProMaster City Van - This RAM commercial van offers plenty of room for goods or constructions supplies, and it's ready to be upfitted for your particular profession.